prolight+sound 2008 sees the first showing at the Frankfurt trade show of the new PLM 10000Q, the first product of the revolutionary new Powered Loudspeaker Management Series from Lab.gruppen (Hall 8 C22). The PLM 10000Q comprises a four-channel amplifier, dual Dolby® Lake® Processor modules, Dante™ low-latency networking and groundbreaking features for load verification and performance monitoring. In order to better present the new PLM concept to the widest possible audience, Lab.gruppen will be running a series of multilingual presentations on their stand at proLight+sound 2008. Visitors will be able to see and hear PLM presentations in English, German, Spanish, Italian, Swedish and Danish. Furthermore, persons attending the presentations can win a luxury weekend for two or one of hundreds of other rewards. 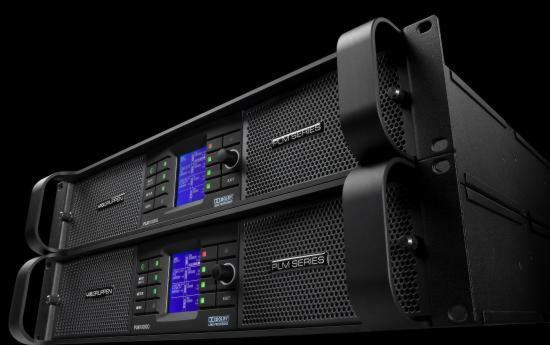 PLM brings together the legendary signal processing that has made Dolby Lake a touring standard worldwide, and an amplifier platform based on the extraordinary power density, sonic purity, and proven reliability of Lab.gruppen’s flagship FP+ Series. Conceived from the outset as a comprehensive drive system for any type of loudspeaker, the PLM 10000Q seamlessly integrates the functions of crossover, delay, equalization, limiting, audio networking, and power amplification. It adds up to high reconfiguration flexibility and precise system tuning for optimum performance. In addition, new load verification and performance monitoring features assure extended reliability for all system components, loudspeakers included. Lab.gruppen also announce that their annual distributor awards will also be held at the show on Thursday 13th March at 15:00.